The IFAT India is India’s leading trade fair for water, sewage, refuse and recycling. It takes place once a year in Mumbai and is an offshoot of the IFAT in Munich, the world’s leading trade fair for water, sewage, waste and raw materials management. The largest international trade show dedicated solely to the anaerobic digestion and biogas industry, returns in 2018 to provide the latest market and technology news, sector by sector, as well as a platform for industry professionals from the UK and overseas to network, share experiences and do business. IFAT is the leading trade show for environmental technologies and an innovation platform, packed into 230,000 square meters. Environmental technologies provide solutions and strategies for all sectors. 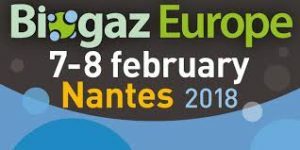 Exhibitors at the World’s Leading Trade Fair for Water, Sewage, Waste and Raw Materials Management develop innovative technologies to improve production processes and help to make more efficient use of raw materials. 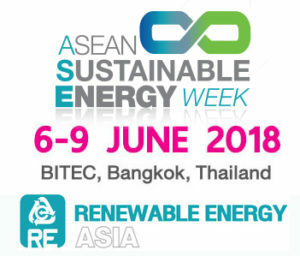 14th ASEAN’s Largest and Most Comprehensive Renewable Energy Technology Exhibition and Conference in ASEAN.